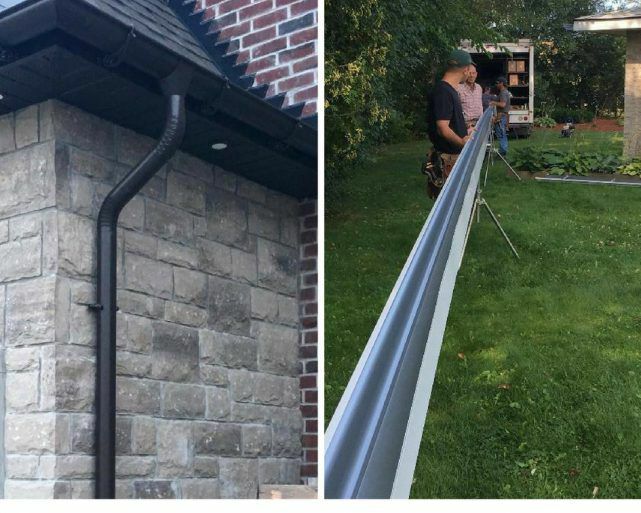 The Toronto greater metropolitan area has its own ecosystem when it comes to gutters, soffits and fascias. All the companies that operate in this area are managed in different ways. This, in turn, allows for a multitude of options for homeowners who have the difficult task of finding the solution best suited to their needs. Patrick Pecoraro, founder and owner of Blackstar Aluminum, has been part of this reality since the company’s inception in 2003. “It’s up to our experts and I to raise clients’ awareness about gutter systems and warranties offered on the market.” He has seen too many people doing business with companies that had no insurance and which offered no warranty, leaving them high and dry when their gutters broke. Blackstar Aluminum has a solid foundation: experienced employees, insurance, warranties, trusted vendors and attention to detail. “You can always find something cheaper elsewhere, but you never actually know where this price difference comes from,” says Mr. Pecoraro. 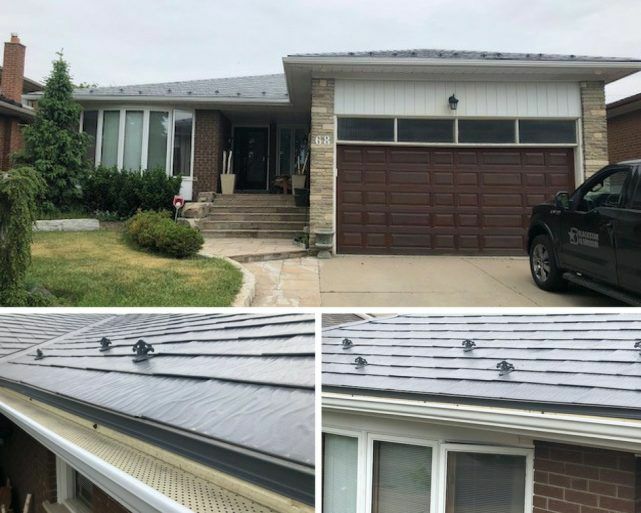 His company installs quality products like the T-Rex continuous hanger and he’s proud to offer the best products on the market, even in such a traditional sector as the gutter industry. Additionally, it’s not unusual to see the company founder on site late in the day inspecting the work performed by his team in order to ensure that the site was left in the same condition as it was upon arrival. 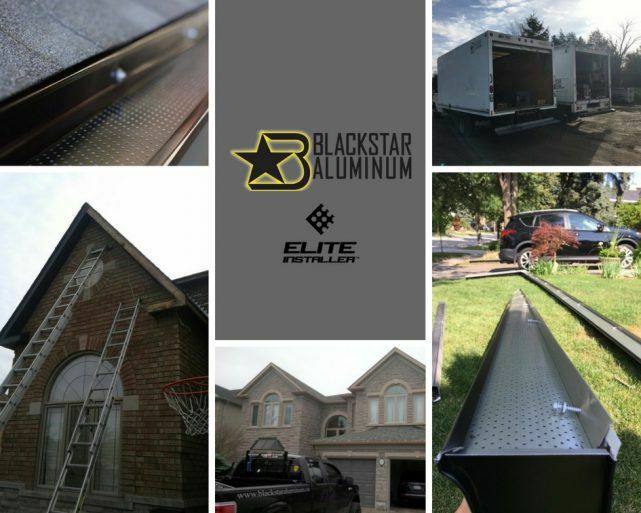 Blackstar Aluminum’s rigor and discipline allow the Toronto-based leader to be the best in the industry. Patrick Pecoraro’s open-mindedness allows him to stand out by incorporating new practices into his operations. “We were all wondering what were these French-speaking guys from Québec who could barely line up a few words in English doing in the jungle of Toronto. 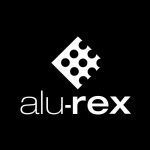 We quickly realized when they showed us the “Fixa-tech” (now the T-Rex) in 2005.” A continuous hanger used instead of nails that is also a gutter guard, that was the revolutionary product proposed to Blackstar Aluminum by the Brochu brothers. Even after 13 years, the first client from Allanhurst Street is still satisfied with the impeccable installation performed back then, as shown in the image below taken in 2018.